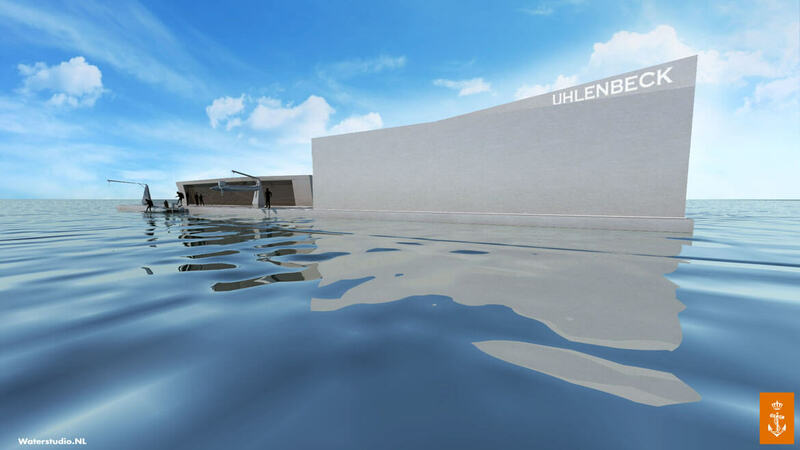 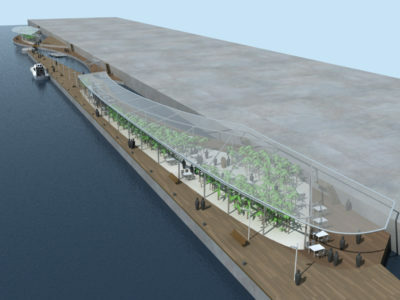 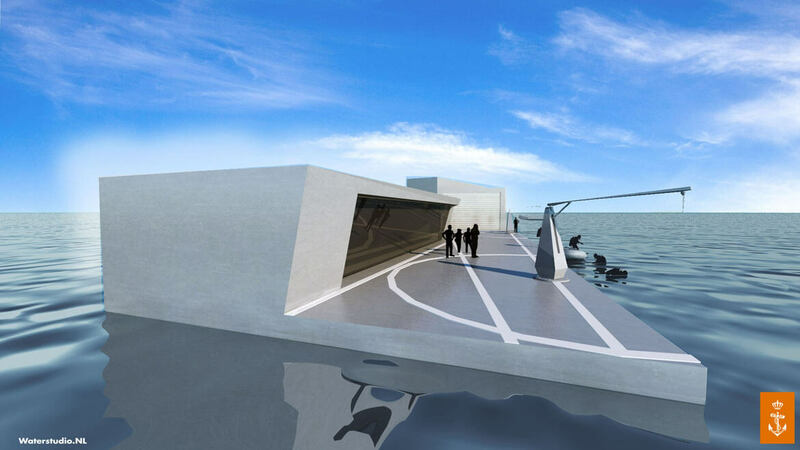 Waterstudio won the competition of the replacement of the diving centre of the Den Helder Marine. 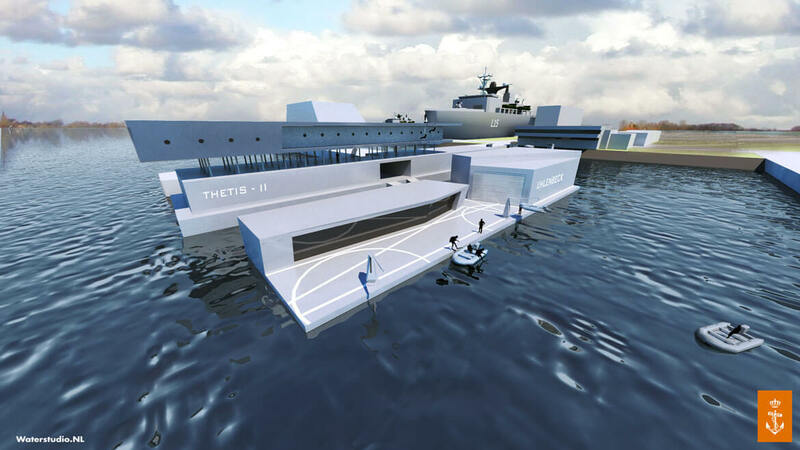 The diving centre is pasrt of the tranformation of the Marine training centre. 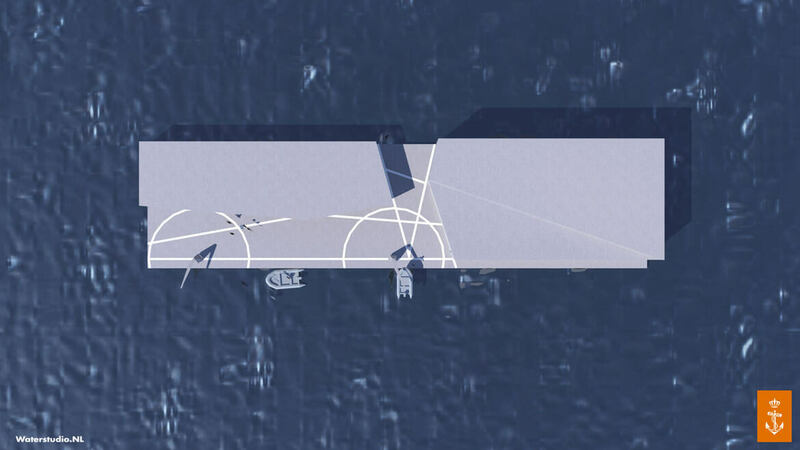 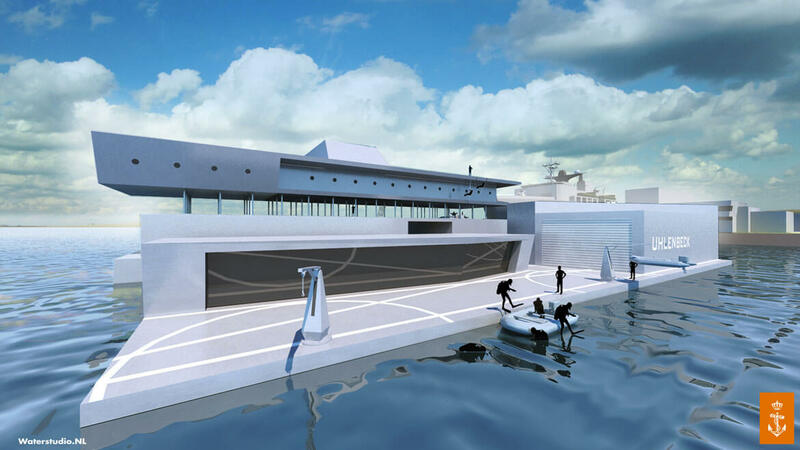 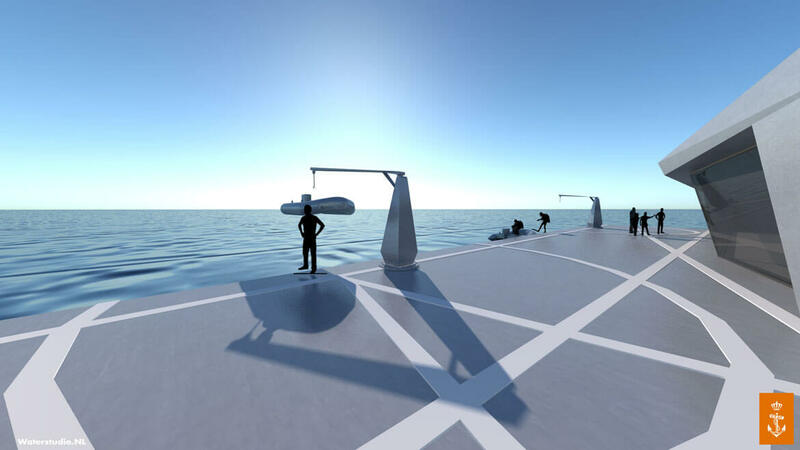 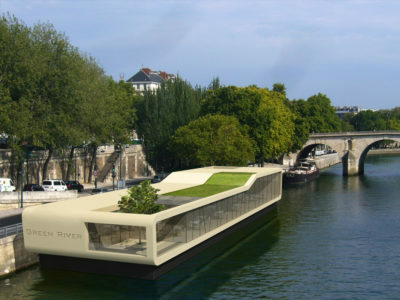 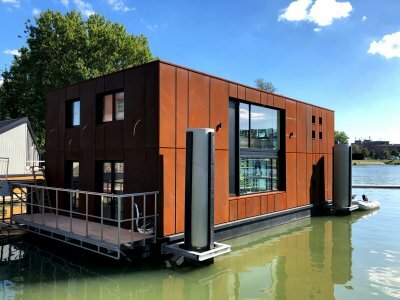 The design is a functional floating platform with two separated buildings which withhold the diving school, storage of the needed equipment and offices. 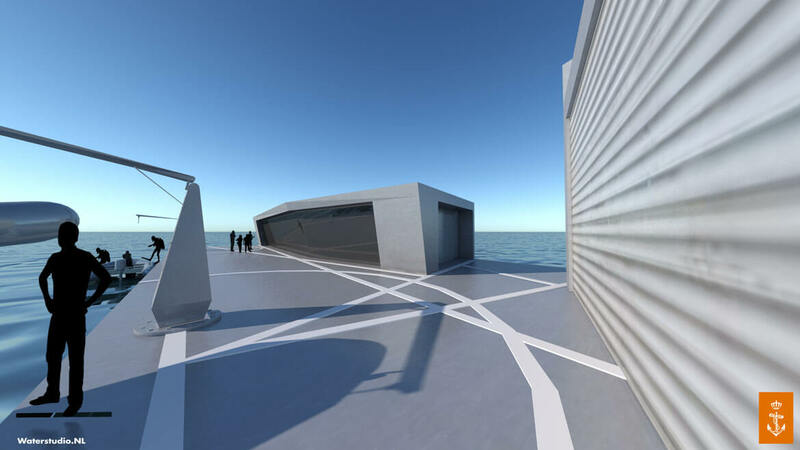 The façade is cladded with zinc, which fits perfectly in this marine environment.